Here it is having its first outing. It made a huge 1.5 kilo loaf of bread! 14th Jan 2011: The pullman tin has another outing in this post Pain de Mie and Melba Toast. Less dough in the tin this time! 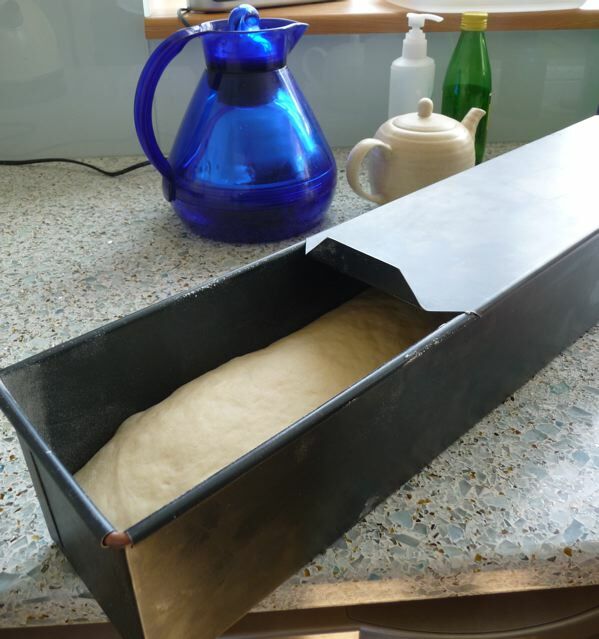 This entry was posted in Bread and tagged Bread, mike wells, mora, pain de mie tin, pullman tin, swithun on 02/05/2010 by Joanna. hehe…a toasted sandwich, made in an electric doodad which cut them into halves and sealed the edges. Here you go..
Ah memories of burning your mouth on molten cheese and scalding tomato :) I just read that wiki article, I have all the facts now, Breville, Australian invention, and apparently in 2005 45 percent of Brits had one lying unused somewhere in their home. They should pop one in the post to you I reckon! …slice the bread thinly and evenly…. Hi Suelle! Evenly yes, thinly no :) Well not this bread, I can slice a mature well behaved sourdough super thin though! This bread was a bit bouncy and squishy when I sliced it. But I’m sure they are fun to use, and indeed, sometimes we all crave corners…. a pullman or a jaffle maker, Sally? 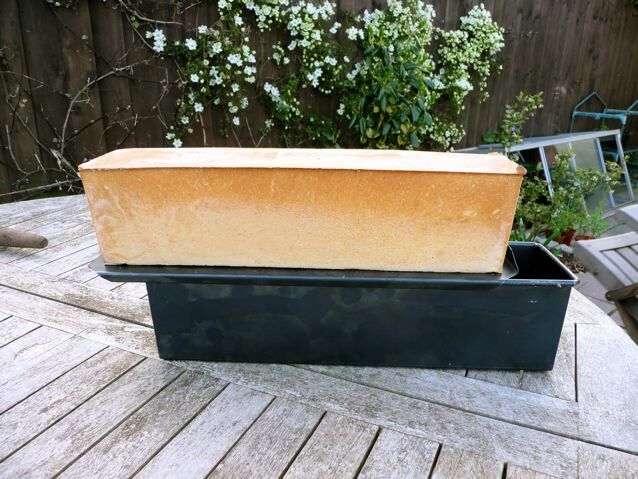 As an every day, corners are jolly useful – they make good sandwiches and go in the toaster But, although this loaf looks good, it really doesn’t look quite as feisty as your other breads. but I prefer a russet toned crust with cracks and splits in it.